Sounds like the start of a joke, doesn't it? Thanks to the amazing company Influenster, I was able to try out some new hair cream from Not Your Mother's! As you probably know by now, I am ALWAYS looking for new hair products to tame my curls. I do love my curls but sometimes they are just a little much. The product didn't leave any stiffness in it, if that makes sense. You could see my curls easily and they were soft curls instead of hard, crunch curls due to too much product. -That took a little getting used to for me, but I am happy with the result! What do you think? Are you a fan of their products3? Your hair looks incredible! I have only recently started seeing their products--I really want to give their beachy waves product a try! 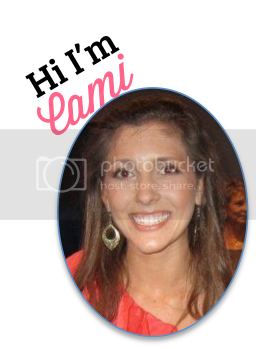 Beautiful, Cami! I LOVE your hair! Products are great when they allow the curl to hold but don't add stiffness. I have naturally curly hair but it has been so long since I've attempted to actually style it nicely that way.